Dicyandiamide Formaldehyde Resin is polycationic flocculating agent, widely accepted the new polymer Decolorizing Flocculant, quality is very stable, soluble in water, safe, non-toxic, hydrolytic stability good, is not sensitive to the change of pH value, has the very good resistance to chloride, is a excellent decolorization of printing and dyeing wastewater by agent. The experimental results indicate that the dicyandiamide formaldehyde resin not only on hydrophobic dispersed dye color removal effect is excellent and of hydrophilic dye (reactive dyes, acid dyes) in addition to the effect of color is also very good, the dyeing wastewater showed that, less dosage, in addition to the obvious, settling velocity and the processing liquid high clarity, while also reducing COD components, improve the removal rate of COD, COD removal rate can reach to more than 98%. Dicyandiamide formaldehyde resin can be used alone or in conjunction with the PAC effect is better. Customer can customize the bleaching agent for the customer optimization, improve the comprehensive effect of use. . It is specially working high performance with the dyeing wastewater containing the hydrophilic dyes (reactive dyes, acid dyes, disperse dyes etc. ), less dosage, the color clear, fast speed, high processing liquid clarification of the settlement, but also reduce the composition of COD, improve the COD removal rate. It can be used before or after the biochemical treatment, suggested to dose after the biochemical treatment, can be with low consumption, and low effect to the bacteria. Used for high-colority effluent from textile dyeing & printing mills, dyestuffs & pigment mills, ink & paper making mills, color removal treatment. Dicyandiamide Resin is suitable to treat waste water with different dyes, especially the water soluble dyes as Reactive dye, Acid dye, Disperse dye, Direct dye, Sulphur dye, Vat dye etc.. In paper & pulp making industry, it can be used as retention agent in the production process. Dicyandiamide formaldehyde resin has strong decolorization and decreasing of COD. Used to de-color high-colority effluent from textile and dyestuffs mills. 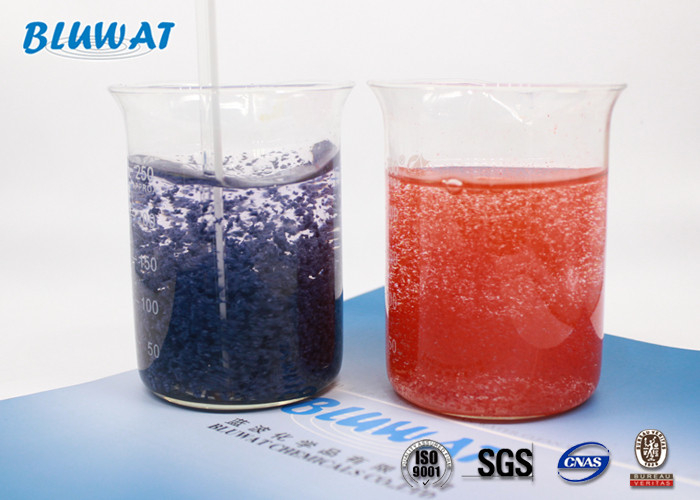 High performance to treat wastewater with soluble and insoluble dyestuffs, such as Reactive, Acid, Disperse, Direct Dyestuff etc.. Specially used to treat color wastewater from textile and dyeing industry, pigment industry, printing ink industry and paper industry. Less sludge produced than other inorganic coagulants. Soluble in water, safe, non-toxic, hydrolytic stability, is not sensitive to the change of pH value, anti-chlorine. Harmless, no-flammable and non-explosive, it can be stored at room temperature, it cannot be placed in the sun. Mix Dicyandiamide formaldehyde resin,with water 40-50 times, dilute the solution, and then the dosage it directly in the sewage, with a glass rod to stir a few minutes after sedimentation or flotation can cause the effluent decolorization decolorization obtained after the clear liquid. 2 Wastewater pH value reached 7-10 when can better improve the decolorization effect of dicyandiamide formaldehyde resin. When dyeing and other need to deal with the high chroma of wastewater, COD can and of polymer aluminum chloride (PAC) with the use, but attention not mixed use. This can effectively reduce the waste water decolorization processing cost, how to add PAC should be according to the actual situation, it is best to make the professional and technical personnel to develop a good solution. Add small content of anionic polyelectrolyte solution, mix slowly to have big floc, Sedimentation. A. When have biological treatment first and after they make chemical treatment. 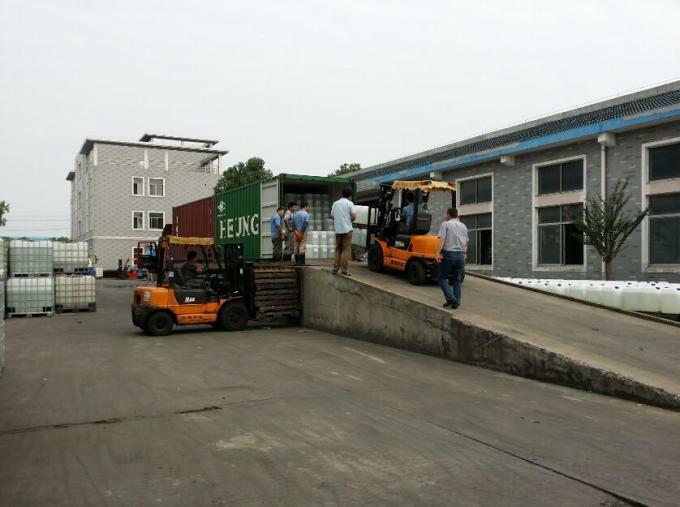 First we apply the PAC (contact time 3-5 min with the waste water), after then Dicyandiamide Resin (contact time 5-10 min), and after then anionic polyacrylamide. It will give too much economy if we'll adjust the pH 7-9, otherwise the consumption of color removal chemical will be ~20% higher.